I have another easy, peasy but packs a wow project for you today! It’s that time of year when we say goodby to some favorite products to make way for new goodies…I will be sad to see the cute Sunburst Thinlits Die go bye-bye but I am going to use it lot’s before it does! And of course I am looking forward to new, fun toys! 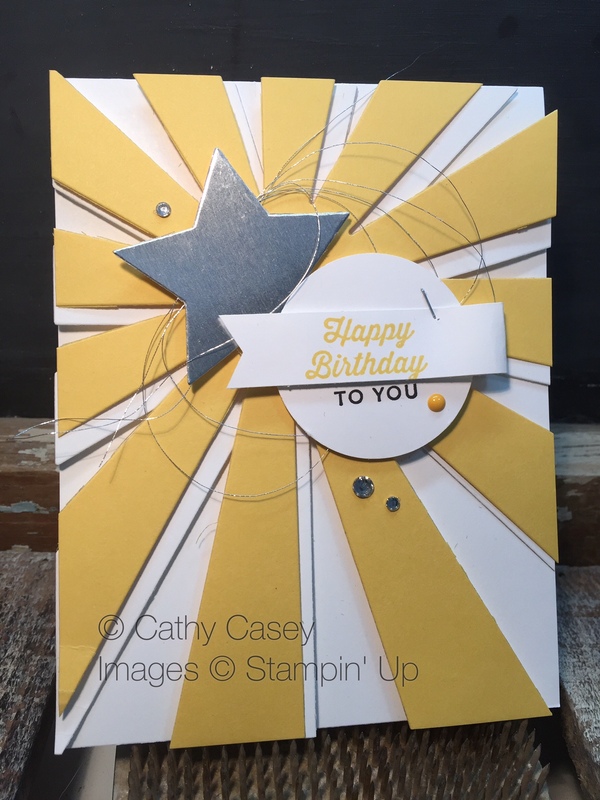 This card features Whisper White and Daffodil Delight cut out with the Starburst die. It is easy to offset your images, just line up your paper for each piece about 1/2″ different from each other. Then you get the shadowing effect from the two layers of cardstock sunbursts. The sunbursts are attached to each other with dimensionals. The sentiment is from the Sunburst Sayings Stamp Set that comes in the bundle with the die. It is stamped on a 1/2″ Whisper White banner in Daffodil Delight (the “To You” doesn’t fit). It is stamped again on a Whisper White scrap in Archival Black and then punched out with the 1 3/4″ circle punch. 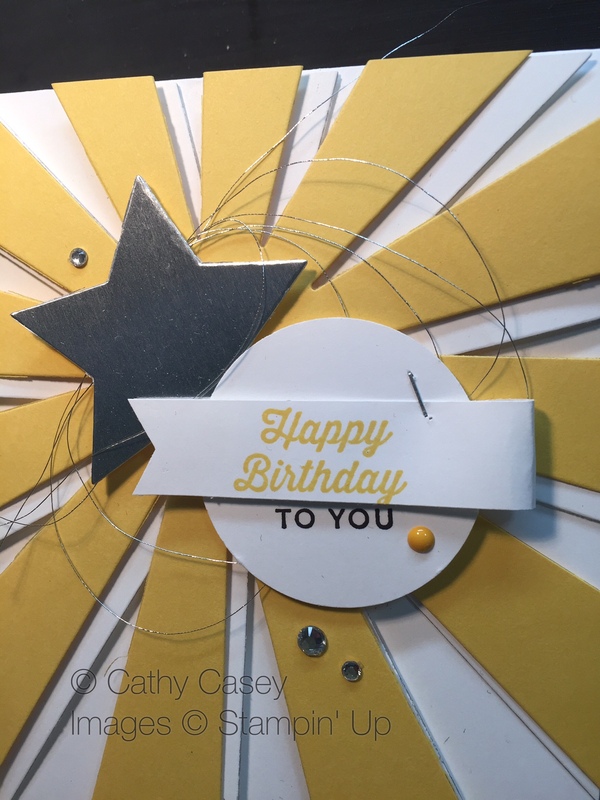 The star is die cut with a small Star Framelit out of Silver Foil paper. All the pieces are stacked onto a Whisper White base with Silver Thread, Rhinestones and Enamel Dots for bling. 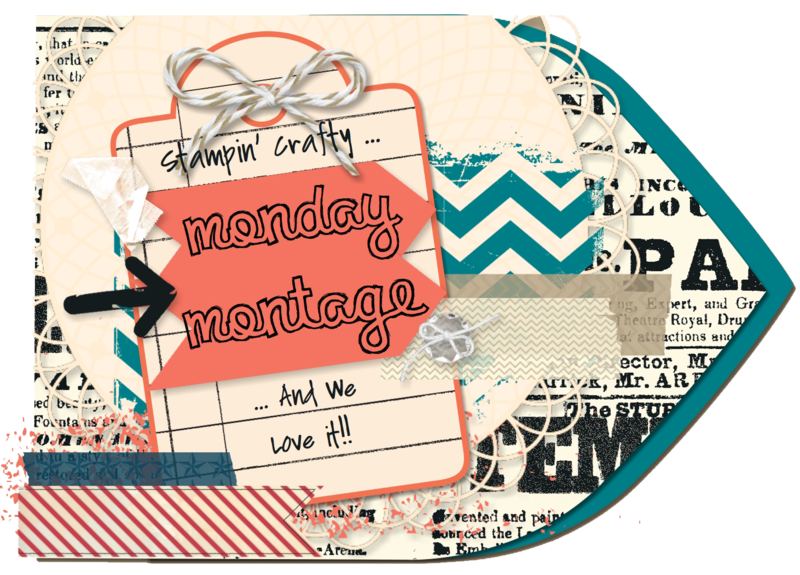 This entry was posted in 2013 Artisan Design Team Finalist, Big Shot, Cards, Framelits Dies, Punches, Stampin' Up and tagged featured, Montage Blog Hop, Stampin' Up, Sunburst Sayings Stamp Set, Sunburst Thinlits Die by kate80132. Bookmark the permalink. You don’t have to be sad — the Sunburst Die is in the new catalog. I love what you’ve done with it here! It makes a perfectly happy birthday card.